The Ram 3500 carries a giant payload of amazing features and changes in 2018, including a plush Limited Tungsten edition, a supplemental air bag suspension option, and a choice of 17", 18", or 20" wheels. It just keeps plowing onwards too with a selection of dual bed lengths, triple cab formations, and an even bigger decision: which engine? There are two HEMI V-8's and Turbo Diesel to decide on! 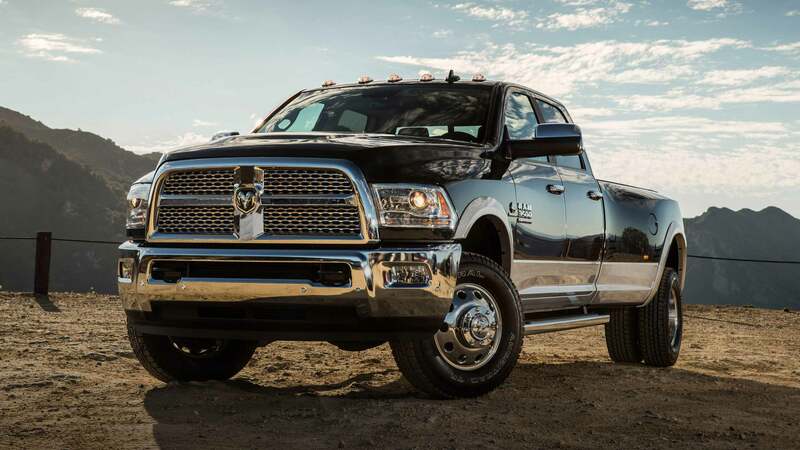 The 2018 RAM 3500 can be delivered in Flame Red, RV Maximum Steel Metallic, Black Forest Green, and Match Walnut Brown Metallic, amidst several other colors. Naturally, new colors are probably not why most buyers would be looking into this truck, that more likely has to do with powertrains and capability-- but this truck might just have it all! Could you illuminate the powertrain scope of the 2018 RAM 3500? If you have a big task to accomplish, you want this truck on your side! 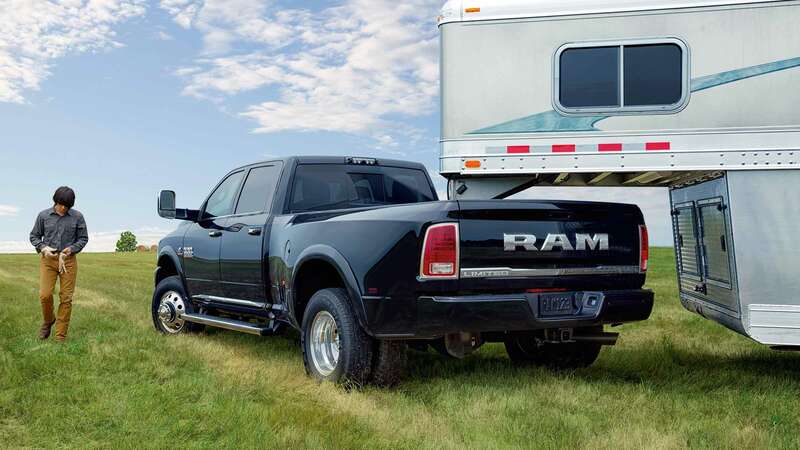 Owners will try not to brag that the RAM 3500 gets up to 31,210-lbs of towing, 7,390-lbs of payload, and 900 lb.-ft. of torque depending on the configuration. The front suspension is found underneath using a three-link with track bar, coil springs, a stabilizer bar, and a solid axle. The rear suspension is comprised of a solid axle with a Hotchkiss leaf spring, plus, has the possibility for (4WD only) for a supplemental air suspension. Now on to the engine selections: Make sure to look into the 6.7L Cummins Turbo Diesel or the HD 6.4L HEMI V-8, although the 5.7L HEMI V-8 engine that's found standard is more than up to the challenge of most owners. The 5.7L powers up 383-hp and 400 lb.-ft. of torque, the 6.7L turbo diesel generates 385-hp and 930 lb.-ft. of torque, the 6.4L picks up a best-in-class 410-hp (370-hp with Mega Cab) and 429 lb.-ft. of torque. With the 6.7L Turbo Diesel, the transmission is either a G56 manual 6-speed with overdrive, an AS69RC automatic 6-speed, or a turbo diesel engine-specific 6-speed automatic named the 68RFE. The HEMI engines both receive (and work well with) a HEMI-only 6-speed automatic transmission also called a 68RFE. There's even an Electronic Range Select function that gains drivers manual gear shift setting control to enable easier downshifting and engine braking in the process of towing a trailer through steep roads. That's the long way of saying that however you prefer to drive and whatever your towing/hauling requirements are, the 2018 RAM 3500 has got you covered. What are some design elements that make the 3500 great in 2018? Just so we're in the know, there are 8 trims of the 3500: the Tradesman, SLT, Big Horn, Lone Star, Sport, Power Wagon, Laramie, Laramie Longhorn, Limited and the Limited Tungsten. 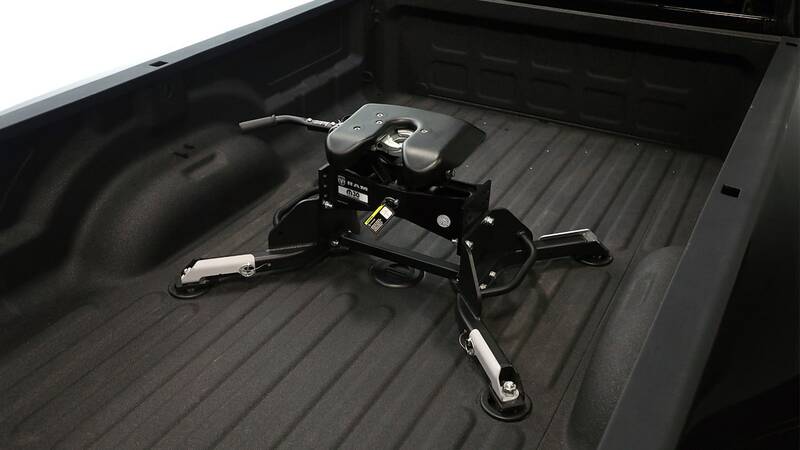 The 3500 can have dual rear wheels that are 17"x 6" in size, an HD vinyl 40/20/40 bench, heated chairs, a 12-volt power outlet, low-beam DRLs, as well as a leather-wrapped steering wheel & shifter! Get ready to make a lot of decisions, with 3 cab sizes! 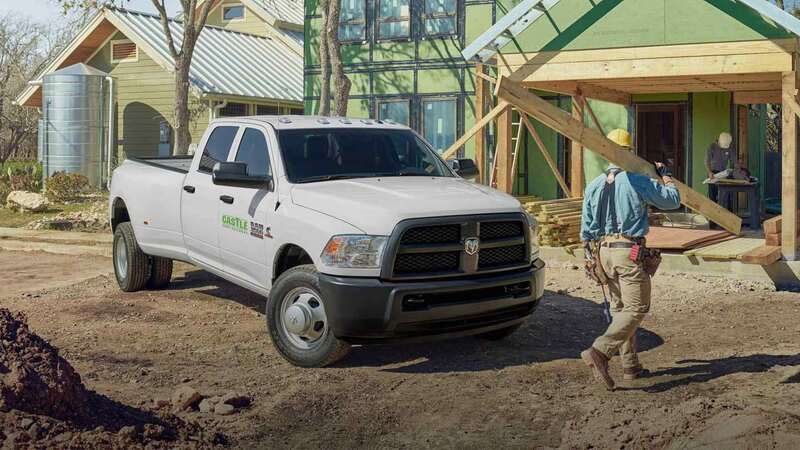 The 3500's Mega Cab boasts the largest interior space in the class, while the Crew Cab is chock full of storage spaces and handy work crew accommodations. The Regular Cab seats either 2 or 3, while the Crew & Mega Cabs have room for 3 occupants up front and either 2 or 3 behind them (depending on what seat choices you pick) as well as standard rear under-seat storage. The Mega Cab truckbed length is 6-ft. 4-in in either the 2WD or 4WD configurations. The Regular Cab is 8-feet long no matter if 2WD or 4WD, and the Crew Cab really opens up the options as it could be 8-feet or 6-ft 4-in regardless of drivetrain setup! 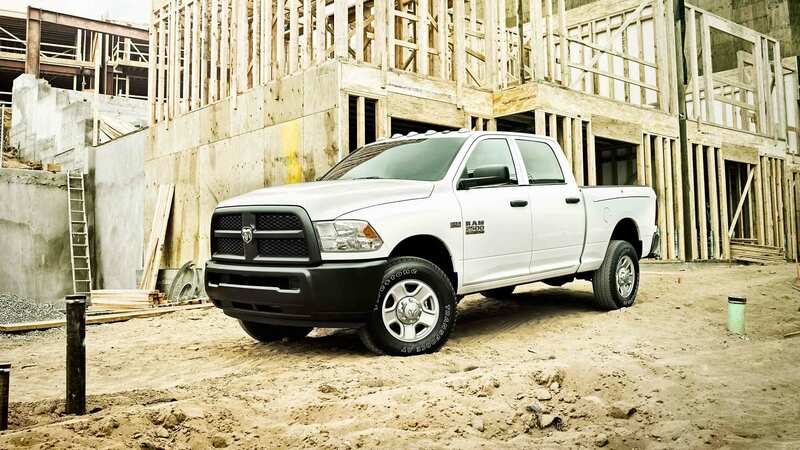 In the enormous cab, there is also a possible 8.4" full-color touchscreen that reconstructs a 2018 RAM 3500 into a movable wired headquarters for paperwork and communications. This pickup can have 9 Alpine speakers with a subwoofer, say goodbye to the days of truck audio being an afterthought! The RAM 3500 uses Uconnect 4C, crisp HD Radio, contains Apple CarPlay & Android Auto assistance, and 4G LTE capacity. Also, look for an arbitrary upfitter switch system which permits easy control of elements such as plow accessories and tow lights, a welcome addition to any truck. 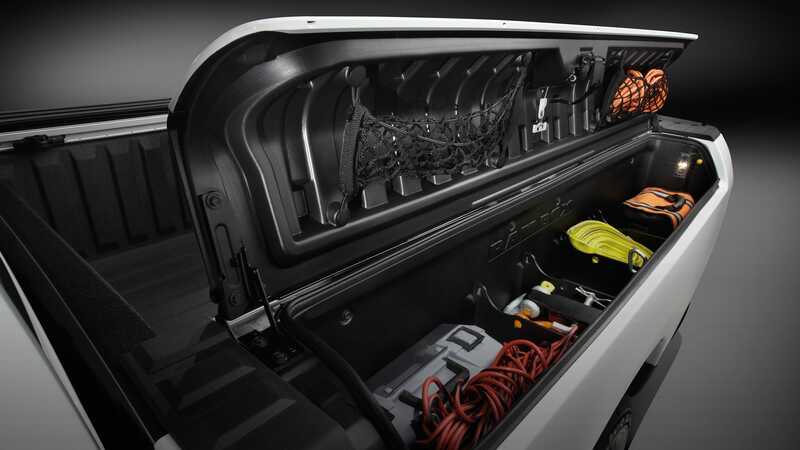 Let's not forget that RAM has the waterproof RamBox system available, and that system is exceedingly helpful with its ability to be locked, drainable, and now lit up by LEDs as an option! But the customization doesn't end there, it goes on with items like optional power exterior mirrors with integrated turn signals, LED bed-lighting, a cargo bed lengthener/divider, a tonneau cover that helps conserve fuel, and wheel-to-wheel side steps! Are there any Packages available for the 2018 RAM 3500? There are several Packages, all meant to cater more specifically for what you need from this truck. A quick look-through brings, among several others, the Chrome Appearance Group with chrome on the bumpers, the grille surround, and steel chrome-­clad wheels (SRW) or steel wheelswith a chrome finish (DRW), the 5th-­wheel/gooseneck Towing Prep Group with an in-­bed 7-­pin harness connector as well as mounting equipment for 5th-­wheel or gooseneck hitches, and the Protection Group (4x4 only) which has tow hooks and a transfer case skid plate. 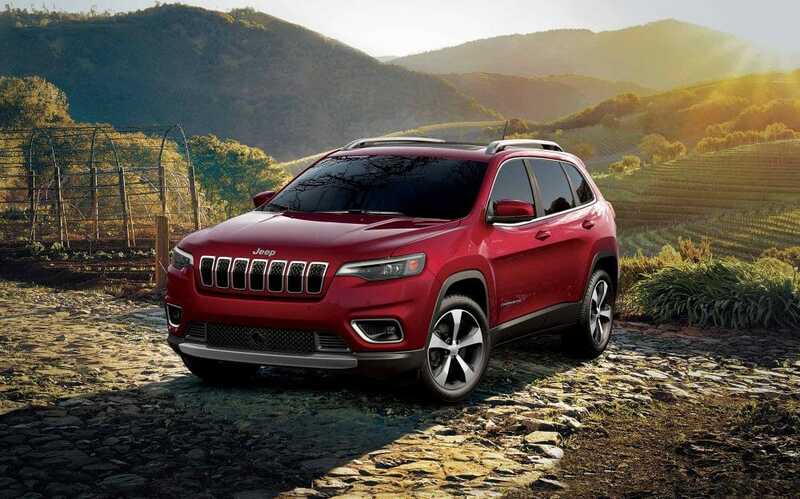 There is also the Off-­road Package that brings in Hill-­descent control, wheel flares, an OFF ROAD decal, tow hooks, a transfer case skid plate, performance-tuned front/rear shocks, and OWL on/off road tires. One last one to consider is the Sport Appearance Group as it has a cool monotone exterior paint, 20" aluminum wheels with OWL tires, blacked-­out headlamps & LED tail lamps, as well as body-color-matching items everywhere like the door handles & mirrors, the front & rear bumpers, the grille with a R-­A-­M logo, and the wheel flares too! That's just a small sample, come ask us about the others before you get too far into it! This is a much-appreciated truck within the tradesperson world and is certainly worth your time to look into. 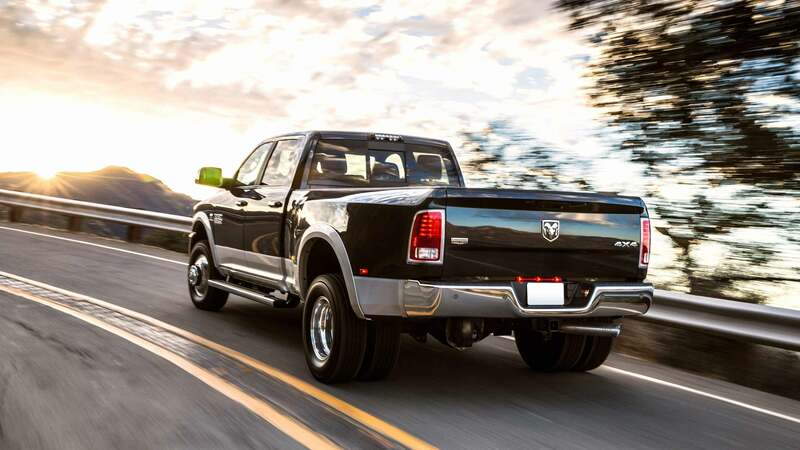 The RAM 3500 has either set the benchmark or surpassed the boundary when it comes to achievements and is absolutely the truck to compare others to during your truck search process. 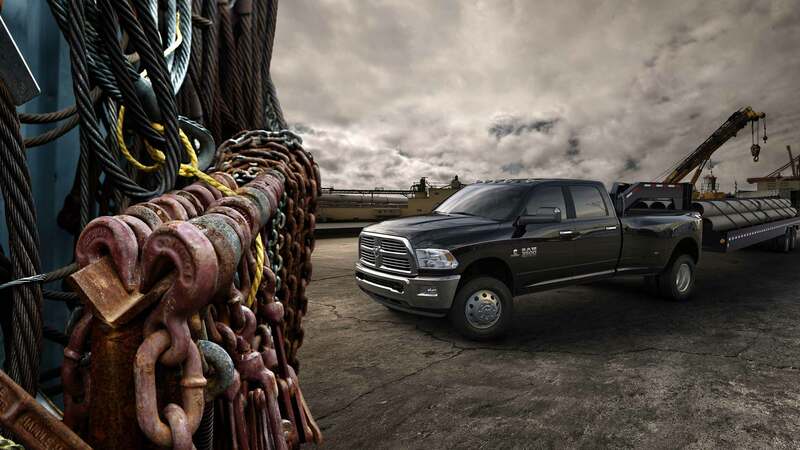 With all of the variations and optional furnishing that is possible on the RAM 3500 in 2018, you have your fun work cut out for you when making a new pickup choice. 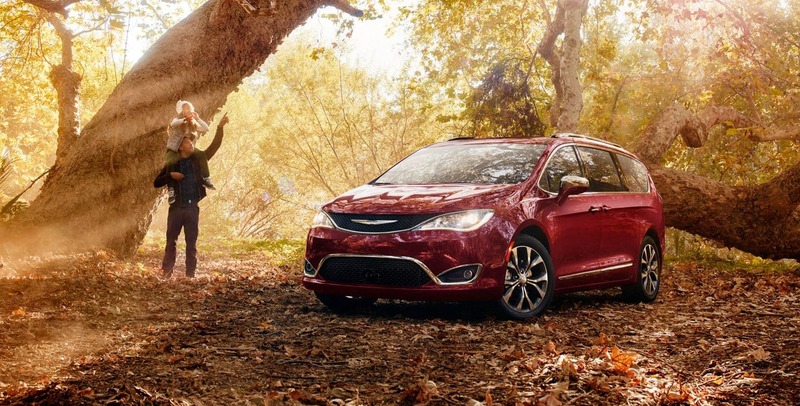 We're happy to serve you here at Legacy Chrysler Jeep Dodge RAM and feel free to call us anytime about this model!